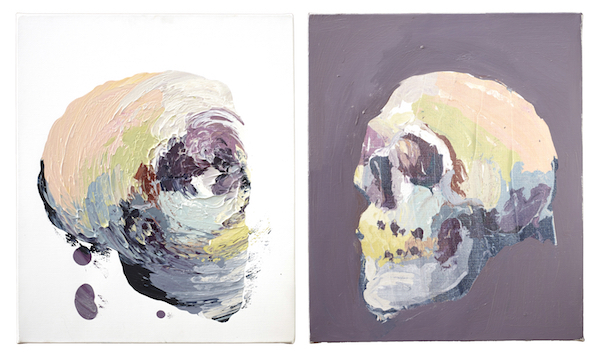 Ben Quilty, ‘Skull Rorschach’, 2009. Oil on linen, 2 x 60 x 50cm. Courtesy: the artist and Bega Valley Regional Gallery Collection, Bega. Photograph: Mim Stirling. Bega Valley Regional Gallery presents ‘I Heart Paint’, curated by Ian Dawson. The exhibition showcases artists, Adam Cullen, Elisabeth Cummings, Sally Gabori, Alesandro Ljubicic, Robert Malherbe and Ben Quilty.